Might be Mites on Your Spinach? Spinach samples were submitted to the Plant Diagnostic Laboratory today from a local organic grower. 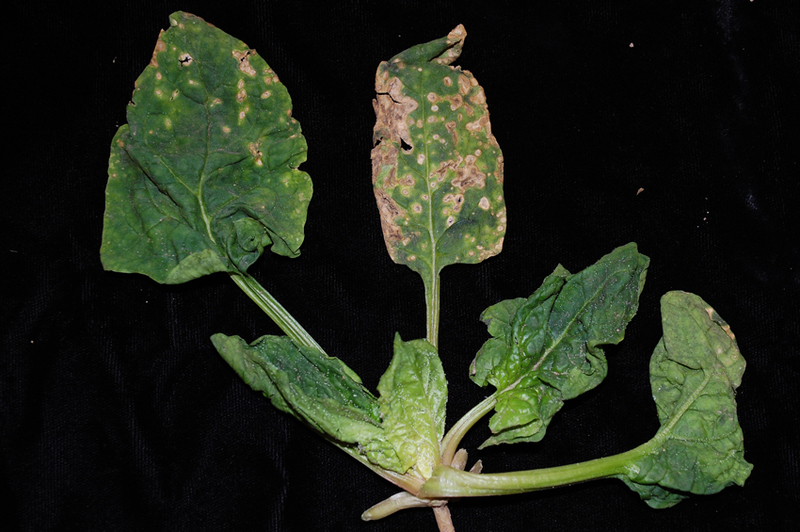 They were submitted for the diagnosis of a leaf spot disease, but closer evaluation revealed much more. 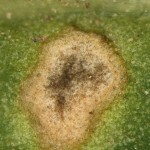 First thing first: the leaf spot is due to the fungus Cladosporium variable. This fungus is a significant problem in the spinach seed production region of the Pacific Northwest, but is of minor importance in our area. It is presumed to be seed transmitted and is most severe during cool, wet conditions when there is adequate free moisture in the plant canopy. 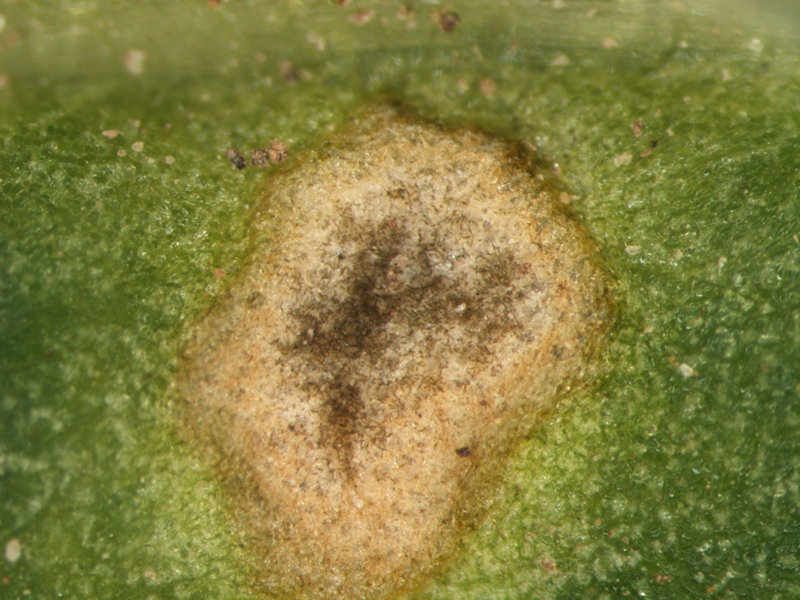 Symptoms begin as small tan spots on the older leaves that rapidly coalesce into larger irregular blighted areas. As the spots age and the fungus begins to sporulate, they become olive colored. There were also a large number of crown mites, Rhizoglyphus sp., identified on these plants. 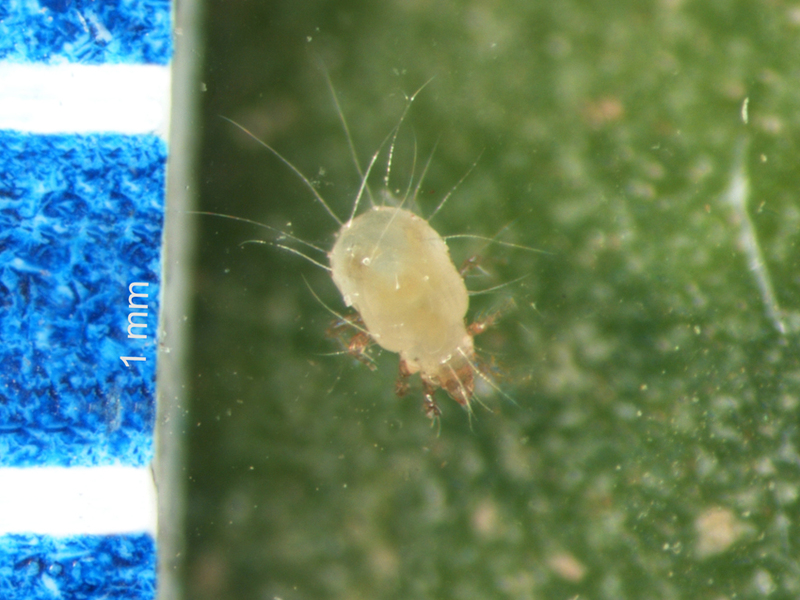 Crown mites in spinach are tiny, almost transparent mites with prominent long hairs. They can be found in both the soil and in the crowns of susceptible plants. They live deep in the crown of the spinach plant and lay eggs on the new growth. Crown mite eggs are transparent and spherical. 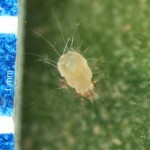 Immature mites are similar to the adults except smaller in size. Crown mites damage germinating seeds, seedlings and older plants. 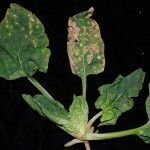 The mites feed mainly on new, expanding leaves at the center of the plant and will stunt, deform, or discolor emerging tissues. As the plants get larger and grow more rapidly, the damage they cause may wane. These mites are usually associated with soils high in organic matter and cool wet conditions. Populations build if repeated cropping occurs. Good sanitation and crop rotation are the best policies for crown mites. For more information on crown mites try this link and for Cladosporium go here.